Broken Age is a point-and-click adventure telling the stories of a young boy and girl leading parallel lives. The girl has been chosen by her village to be sacrificed to a terrible monster--but she decides to fight back. Meanwhile, a boy on a spaceship is living a solitary life under the care of a motherly computer, but he wants to break free to lead adventures and do good in the world. Adventures ensue. Broken Age is a point-and-click adventure telling the stories of a young boy and girl leading parallel lives. The girl has been chosen by her village to be sacrificed to a terrible monster--but she decides to fight back. Meanwhile, a boy on a spaceship is living a solitary life under the care of a motherly computer, but he wants to break free to lead adventures and do good in the world. Adventures ensue. The Humble Bundle has released a lot of great game bundles and the latest Playstation Indie Games bundle is a must buy if you own a PS4 and wanted a few more games to play. It's a pretty wide mix of titles such as Grim Fandango Remastered, The Bards Tale remastered, Inner Space, Broken Age, The Talos Principle, Wasteland 2, Layers of Fear, Shadow Warrior 2 and Killing Floor 2 and is $15 to get them all. $15 is a great price for just one of these games and considering some of the proceeds go to charity, even better. The Humble Bundle has released a lot of great game bundles and the latest Playstation Indie Games bundle is a must buy if you own a PS4 and wanted a few more games to play. 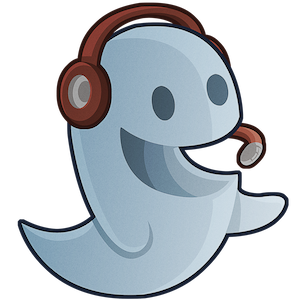 It's a pretty wide mix of titles such as Grim Fandango Remastered, The Bards Tale remastered, Inner Space, Broken Age, The Talos Principle, Wasteland 2, Layers of Fear, Shadow Warrior 2 and Killing Floor 2 and is $15 to get them all. $15 is a great price for just one of these games and considering some of the proceeds go to charity, even better. It's A Tim Schafer Adventure Game! Jack and Rich review the latest Tim Schafer Adventure Game Broken Age and conclude that it is indeed a Tim Schafer Adventure Game. Rich seemed to have enjoyed while he points out that Jack may not be a fan of the Adventure Game genre. Jack also brings up something I thought was really interesting in that people may have jumped aboard the Double Find Adventure Kickstarter hype train and may not have had a good understanding of what an Adventure Game really is. Jack and Rich review the latest Tim Schafer Adventure Game Broken Age and conclude that it is indeed a Tim Schafer Adventure Game. Rich seemed to have enjoyed while he points out that Jack may not be a fan of the Adventure Game genre. Jack also brings up something I thought was really interesting in that people may have jumped aboard the Double Find Adventure Kickstarter hype train and may not have had a good understanding of what an Adventure Game really is. Double Fine released Broken Age part 2 today that wraps up it's wildly successful Kickstarter project. After reading a few initial reviews of act 2 I was disappointed to see the reviews mixed. On one hand the people laud the games look and feel, music and tone. On the other hand they critique the old school difficult adventure game puzzles for being very hard to understand. This makes sense as I never beat many of LucasArts old adventure games without walkthroughs as the solutions to situations were so obtuse. That said, it seems the backers of the project wanted a modern take on the adventure game and today we have the delivery. I am personally looking forward to... Read All Double Fine released Broken Age part 2 today that wraps up it's wildly successful Kickstarter project. After reading a few initial reviews of act 2 I was disappointed to see the reviews mixed. On one hand the people laud the games look and feel, music and tone. On the other hand they critique the old school difficult adventure game puzzles for being very hard to understand. This makes sense as I never beat many of LucasArts old adventure games without walkthroughs as the solutions to situations were so obtuse. That said, it seems the backers of the project wanted a modern take on the adventure game and today we have the delivery. I am personally looking forward to starting it up and letting you know what I think of it. Have you tried Broken Age? Are you interested in checking out Double Fines latest release? I started playing it again on Sunday night. Because it had been so long, I decided to start over from the beginning, so I just got to the second half today. So far so good; no guide yet, but I'm not very far in, so we'll see. Double Fine is releasing the second and final act of Broken Age on April 28th. Most of us have followed this game from it's record breaking Kickstarter to it's act one launch to it's eventual final chapter in April. I picked up Broken Age as a Slacker Backer during one of the Amnesia Fortnight events. I wanted to wait until the game was fully released to start playing it so hopefully i'll have the time to start it up when April 28th comes round. Curious if anyone has played this and what they think of act one so far(please no spoilers). http://steamcommunity.com/app/232790/discussions/0/618457398956845716/ Double Fine is releasing the second and final act of Broken Age on April 28th. Most of us have followed this game from it's record breaking Kickstarter to it's act one launch to it's eventual final chapter in April. I picked up Broken Age as a Slacker Backer during one of the Amnesia Fortnight events. I wanted to wait until the game was fully released to start playing it so hopefully i'll have the time to start it up when April 28th comes round. I backed it on Kickstarter pretty soon after it had already met its initial goal. So far the game is quite excellent; I've thoroughly enjoyed the story from both perspectives. While I am disappointed in how long it's taken to make thus far, I can confirm that the first part was definitely worth the wait and I have high hopes for the second part. Sounds like you enjoyed it, which is good because I want to enjoy it too. I think the last adventure game I played was The Secret of Monkey Island a few years ago and then Day of the Tentacle about as long ago. Double Fine successfully Kickstarted a then titled project called "Double Fine Adventure" that became the game Broken Age. They released the first half of Broken Age last year and will be releasing the second half this year. As part of the project Double Fine hired 2 Player Productions to create a series of documentaries. So far they have released 18 videos to backers(myself included) and plan on wrapping up the series soon with a final few episodes. Up till now you had to back Double Fine Adventure to watch it but as of today they will slowly release each episode one at a time. "The collaboration between 2 Player Productions and Double Fine Productions that launched a... Read All Double Fine successfully Kickstarted a then titled project called "Double Fine Adventure" that became the game Broken Age. They released the first half of Broken Age last year and will be releasing the second half this year. As part of the project Double Fine hired 2 Player Productions to create a series of documentaries. So far they have released 18 videos to backers(myself included) and plan on wrapping up the series soon with a final few episodes. Up till now you had to back Double Fine Adventure to watch it but as of today they will slowly release each episode one at a time. "The collaboration between 2 Player Productions and Double Fine Productions that launched a historic Kickstarter campaign is nearing its conclusion! In anticipation of the release of Act 2 of “Broken Age”, episodes of the Double Fine Adventure will be released to Youtube every Tuesday and Thursday starting March 3rd." Tim Schafer industry legend and proprietor of great hair mentions that Broken Age part two is in beta and nearing release. This is great news as I wanted to wait till the entire game was released before I... Read All As I travel the expanse of the information superhighway I read many words and see lots of things. Some of it incredible, some meh and occasionally things too dastardly to express with casual words. I took part in a Double Fine Bundle that included funding Broken Age to get access to documentaries of it's creation and development. As part of that I get emails about the games progress from Double Fine and the most recent video(shared above) I thought was worth sharing. Double Fine will release the concluding chapter of Broken Age later this year for everyone that purchases the game. Like all other Double Fine games, Broken Age is available on Mac,... Read All If you were a backer of the Double Fine Adventure or took part in a Double Fine Bundle that helped fund Broken Age, today you received your early access key. Double Fine has also released two trailers showing off the main characters from Broken Age. Broken Age intertwines these characters story and I can't wait to play the game and see how well they pull it off. "Double Fine Adventure" AKA Broken Age is nearing its first half launch and as the release draws near, they are dropping more info nuggets along the way. One such gem features the vocal stylings of the always amazing Wil Wheaton! I grew up watching Wil Wheaton on Star Trek and it's awesome to see him continue his career past the final frontier. Broken Age will drop on PC, Mac and Linux in 2014. "Double Fine Adventure" AKA Broken Age is nearing its first half launch and as the release draws near, they are dropping more info nuggets along the way. One such gem features the vocal stylings of the always amazing Wil Wheaton! I grew up watching Wil Wheaton on Star Trek and it's awesome to see him continue his career past the final frontier. 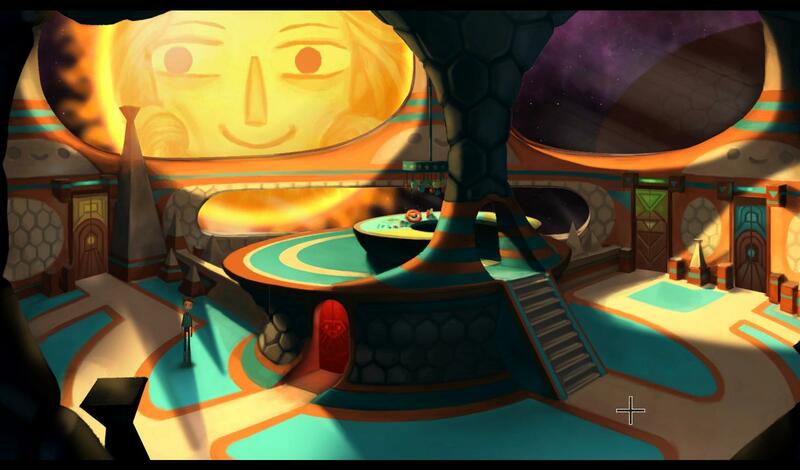 Broken Age will drop on PC, Mac and Linux in 2014.